Providing you the best range of spray dryer, agitated thin film dryer, fluid bed dryer, flash dryer, sludge dryer and rotary dryer with effective & timely delivery. Able to operate in applications that range from aseptic pharmaceutical processing to ceramic powder production. It can be designed to virtually any capacity required. Feed rates range from a few pounds per hour to over 100 tons per hour. Powder quality remains constant during the entire run of the dryer. Operation is continuous and adaptable to full automatic control. 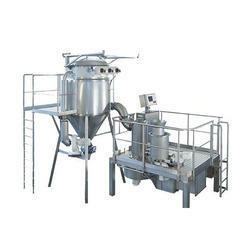 A great variety of spray dryer designs are available to meet various product specifications. Can be used with both heat-resistant and heatsensitive products. 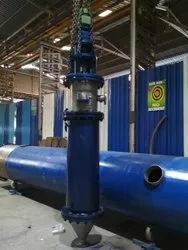 As long as they are can be pumped, the feedstock can be abrasive, corrosive, flammable, explosive or toxic. Feedstock can be in solution, slurry, paste, gel, suspension or melt form. Product density can be controlled. Nearly spherical particles can be produced. Material does not contact metal surfaces until dried, reducing corrosion problems. Agitated Thin Film Dryer is suitable for complete solvent receovery and useful for heat senstive material as it takes seconds for drying. 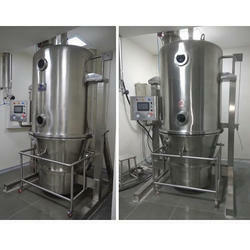 We are offering Fluid Bed Dryer to our clients. 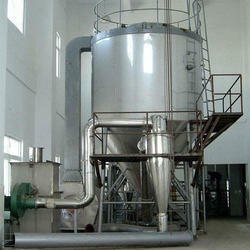 We are offering Flash Dryer to our clients. 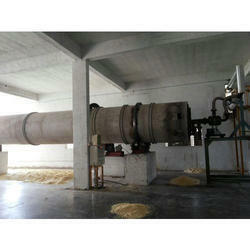 We are offering Sludge Dryer to our clients. We are offering Rotary Dryer to our clients. Drum drying is a method used for drying out liquids from raw materials with drying drum. The drum dryer has excellent thermal efficiency, making it the optimal dryer for directly solidifying and drying liquid or sludge type materials. The drum dryer structure is simple, taking up less installation space than other dryers such as the hot air type, and maintenance is also easy. As a result, this dryer is used for a wide range of drying, from products to waste materials. 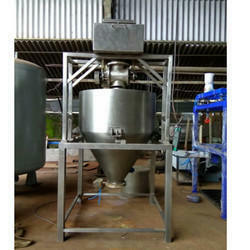 Drum dryers are used in chemical industries, pharmaceutical industries, food industries, mettalurgy, fertiliser industry. Variable capacities of drum dryers are supplied. Looking for Industrial Dryer ?